U.S. District Judge James V. Selna has announced that the massive collection of lawsuits against Toyota stemming from unintended acceleration issues will be tried in the first quarter of 2013. These bundled lawsuits, which includes around 400 claims related to the Toyota’s unintended acceleration recall issue, involved claims ranging from economic losses in vehicle value to personal injury to wrongful death. Judge Selna did not state which types of claims would be handled first when the hearings begin in 2013 but he did request that the lawyers involved select “bellweather cases”. Bellweather cases are samples chosen from a large group of cases that the lawyers feel best support the claims of the plaintiffs and defendants. In this case, Toyota’s lawyers will select individual cases out of the group that they feel best support their side of the argument while the lawyers of the 400 people suing for various reasons will select cases to best support their side. 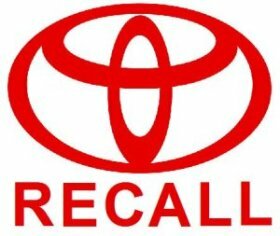 Toyota has held strong to their claim that they did nothing wrong in the manufacturing or recall process of the vehicles responsible for this massive unintended acceleration recall, even though reports are still coming in of injuries and deaths related to the faulty Toyota vehicles. In late December, the first cases related to unintended acceleration was settled with the plaintiff walking away with $10 million and while Toyota pushed for the amount to be kept private, the California Supreme Court ruled against them. Depending on how the cases go in early 2013, that $10 million could be a drop in the bucket once the ruling is handed down on the 400 suits filed against the Japanese automaker.